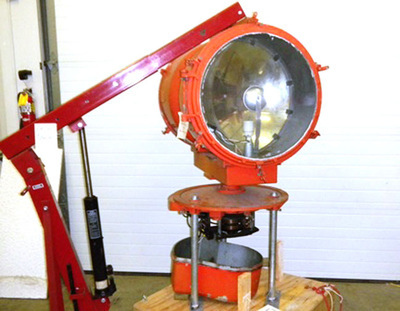 The Atterbury-Bakalar Air Museum received an artifact donation of a WWII-era rotating beacon which is believed to be the original WWII beacon from the former air base. The beacon was restored and placed on display at the museum. 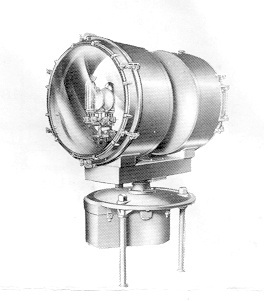 Information from the Crouse-Hinds Company shows no remaining shipping or destination records for this beacon. According to company officials, this type of beacon has been out of production for many years. Other information from Crouse-Hinds Company officials show it was made in their Syracuse, NY division. 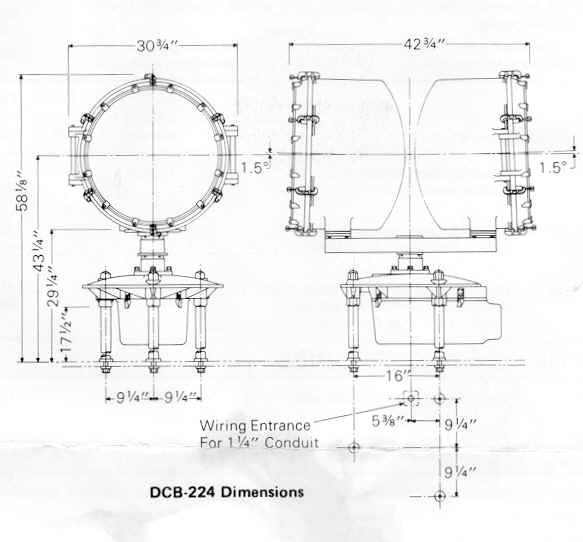 Shipping weight was 670 lbs., 55 shipping volume, 120V 60HZ, 6 rpm, clear flat single beam lens. 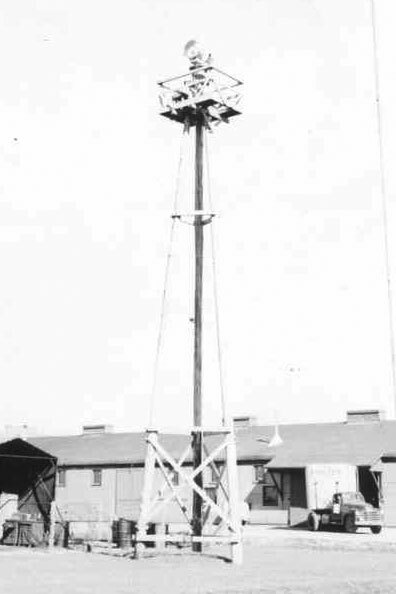 The rotating beacon is similar to the one pictured here, the original Atterbury Army Air Field Rotating Beacon. The top lamp portion is what the museum now has. 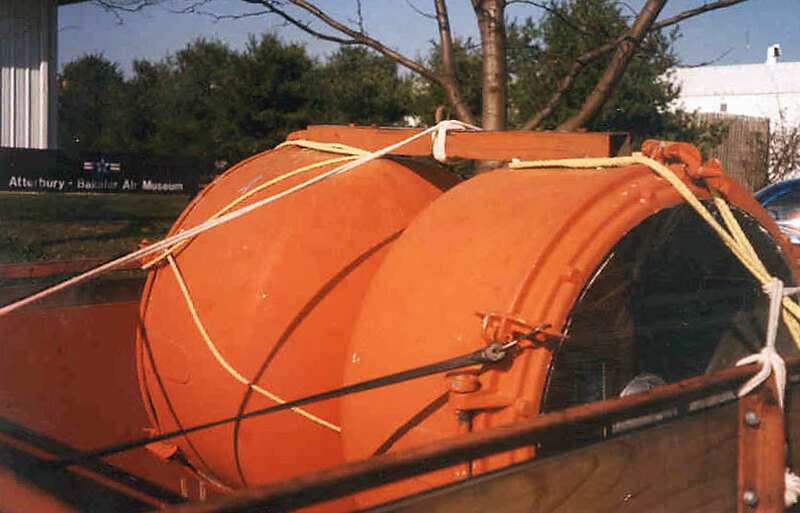 The WWII-era rotating beacon being delivered to the museum, it is believed this may be the original air base beacon.